Watch an episode of Rage Quit, a nerd podcast with Collin Whitehouse, Liam Whitehouse, and Daniel Courtney! Get some info on local businesses and their owners with a live episode of Business Insights with John Racine! 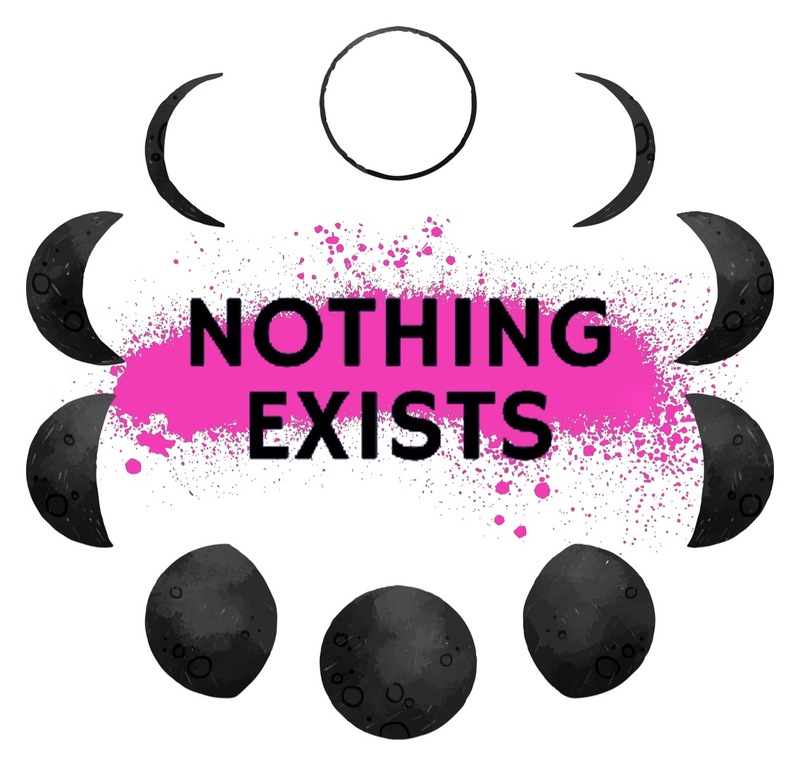 And be part of Lyss England’s interview with Caitlin O’Sullivan, one of the owners of Ganarascals, on a live episode of The Nothing Exists Radio Hour! All podcasts will be recorded live to be aired late on Northumberland 89.7, so be a part of the recorded show and select a tasty waffle off a menu of epicness. Reserve your tickets at Ganarascals for this super fun event, emceed by Hailiah Knight, happening February 15! $25/ticket. 7/21/16// things that feel good today. I’ve been making lists of things that feel good. There is literally no qualifier for making the list except that the thing felt good. There are no rules, I don’t post these statuses with any real consistency, they just happen when I feel like I need them. I started posting “things that feel good” statuses when I was about six months into a violent (but, as always, functional) depression because I noticed that my thought patterns focused in on negative things that didn’t feel good at all, and that I was focusing all of my energy on those feelings that didn’t feel good. I was looking for a way to train my brain to notice things that felt good instead, and one day I decided to post a list of things that had felt good that day as a Facebook status. The response I got kind of blew my mind. A ton of people liked it or otherwise “reacted” to it. People commented that they thought it was a cool concept. People approached me in the street to tell me they had loved that status. It was just a status on Facebook, and I hadn’t posted it in hope of receiving any type of response as much as to hold myself publicly accountable for this paradigm shift I was attempting to create for myself. It is an easy way to keep a record. That being said, I’m never one to turn down validation, and the reminders every time I would receive a notification to look at that status were helpful in re-training my brain, because I kept re-reading these things that I was intentionally acknowledging as feeling good. It became a mantra, these Things That Felt Good. I started posting them more often. As my depression lessened, the posts began to feel more celebratory and less like another thing I put myself through the motions of in hope of feeling better. People continued engaging with the concept of them both on and offline, and even began posting their own. Being mindful of things that feel good was a concept that made sense to a lot of people. And I felt as though it really was contributing to a meaningful change for me. As a person who is fascinated by performance, I have always felt drawn to public displays of self-discovery and change. I think that expressions of authentic processes of self-discovery are the highest form of art, and that it follows naturally for that art form to bleed into the public sphere. With presentation of this wild display of vulnerability comes the opportunity for those witnessing it to reflect, relate, connect with the artist, and with one another. It creates space for discussion. It also creates space for accountability and the continuation of the process of reflection for the artist. There’s also something to be said for the intentional self-objectification that comes with using the self as a medium for artistic expression. The process of exposing ones self has been, for me, a way of looking at myself from outside of myself. A way of taking space from my body, and then being very much in my body. Objectifying my Self, and my experiences on my terms. Making my Self a display in a way that I consent to, intentionally. I didn’t intend for Things That Felt Good Today posts to be an art project when I started to do it, but upon reflection, that is a large component of what it is and what has been healing about it. Things That Felt Good Today posts are an art form because they are vulnerable displays of mindfulness that is related to the authentic self and are performed publicly. They are full of transformative potential for the artist, and for those who witness them. For those who choose to engage with them, those who create their own, those who think about them. They are a performance piece that feels good.